Having taught a lot of students, I know how hard it can be to find a good dictionary that will allow you to correctly translate Portuguese to English or vice-versa and help you with your Portuguese learning process. 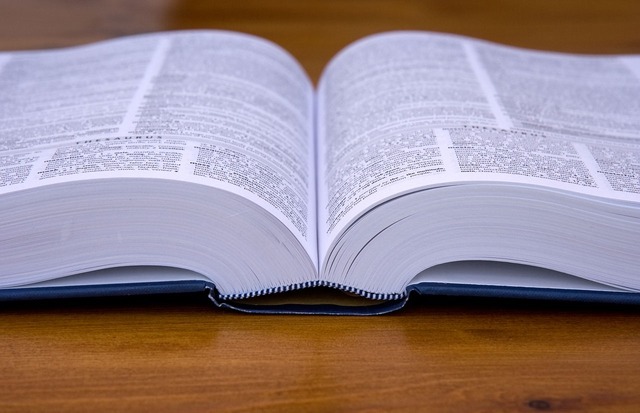 If you are still old-school, you might want to try some good paper dictionaries. I, myself have lots of them at my parent´s home, but I never use them anymore (sad, but true…nothing against using them, though!). Nowadays, as we all are aware of, especially those of us who are “internet-freaks”, we can find lots of dictionaries online. So much so, that sometimes it gets confusing to find the right one and we end up using “google translator”, which is not always the best option. Sure, google will give you a notion of what you want to translate, but not always will it be a hundred percent accurate. Thus, while being a brilliant tool to help you getting started, there are also some other dictionaries online that you can use to continue your search for the best translation. “Your mum reminds me of a cow” – Uppppps…. Next, you will find a list of online dictionaries I normally use, in order to avoid the erroneous translation “Your mum reminds me of a cow”, when in fact I want to say “Your mum has a lovely house”. Does this situation sound familiar? Want to avoid it? Then continue reading. This is an amazing dictionary, as it not only gives you the translation of the word, but it also allows you to see the word in context. You can see various excerpts (ahah…wanna know a funny thing? I just looked that word up in linuee.pt) of texts, that were previously translated from other people, some of which were even translated by professionals. No matter what technical term you are looking for, being it about IT or architecture or cooking, you will always find at least one translation made by a specialist. The other interesting thing about this dictionary is that it has an app that you can download, so that you can easily access it from your phone wherever you are. You don’t even have to have access to the internet. Once you download the app, you can always connect to it and have the answers to your translation questions. Cool, huh? Besides, the linguee webpage allows you to see the English version, making it super easy for you to navigate, even if you are not a Portuguese speaker. And this is just the start! If you go on the actual website, you will see that there are many more! And always with the possibility to see the translation put into context and made by professionals of different areas. Interesting, right? Although I haven’t used this dictionary a lot, from the little experience I have been having with it, it seems quite interesting and thorough. The webpage allows you to simply choose the languages you want to translate from and into and it also gives you a lot of different options of languages. Moreover, it also uses different sources that show the different translations that a specific word or expression may have. A peculiarity about this source is that it gives translations of words for both European Portuguese and Brazilian Portuguese. This might be interesting for people who are seeking to learn both variants of the language. If you want to experiment it right now, just type “train” into the search bar and ask the dictionary to translate it into Portuguese. You will get the words “comboio” (the European Portuguese translation) and “trem” (the Brazilian Portuguese translation). This is also possible if you want to do the opposite. If you come across with any of the variants of the word, be it in European Portuguese or Brazilian Portuguese, you can type it in the search bar and both will give you the result “train”. Like this, you will be sure you won’t ever go without an answer, whether you are reading a Brazilian book or a Portuguese novel. You can always see all the versions of the word. You can also add your own contribution. In the part where it says “Conhece outras traduções para ‘train’?”, it is asking if you know other translations for the word. If you do, you can add your contribution by sending a feedback. This is also another peculiarity of this dictionary and I guess it makes it more complete in a way. Ok, this is not really a dictionary for translation, but I guess that since I am at it, I could also introduce this one. In fact, this is a Portuguese to Portuguese dictionary and I guess it can be of enormous help when you are already more advanced in the language learning process and you want to get a “deeper picture” of the meaning of a word. Be aware, though, that this dictionary is mainly focused on European Portuguese, so if you write the Brazilian version of “train”, you probably will not get the same meaning of “comboio”, which if you remember, means “train” in Portugal. A very interesting feature that you can find in the dictionary´s website is that you can consult the most (re)searched words of the day and even of the past year. In fact, every year, Pribeeram makes a list of the most searched words in each month of the previous year, which in my opinion is really curious. …very curious indeed! This was around the time when Portugal won the Euro 2016 and people were apparently curious about our national anthem, which contains all of these words. Interesting how linguistic research is influenced by what happens around us, right? I am even surprised that the most researched word at this time wasn’t “Cristiano Ronaldo”. Ahah. Just kidding. Ok peeps. Thank you very much for putting up with me during one more entire post 😉 I hope that I somehow helped you organising your ideas about the best way to translate Portuguese to English and vice-versa (or any other languages you are searching for). Don´t be a stranger and leave me your comments below. That will be most appreciated! I’ll be checking your website regularly, as there are many things I still need to learn. Looking forward to reading your new posts! Obrigada, Mia! I am so glad you stumbled upon my website and that it is valuable to you! I do know that there are some limitations in the online resources that are out there, especially for European Portuguese! Therefore I am doing this website. Have you ever tried learning European Portuguese? Well, please do keep in touch as I will definitely be adding more articles about the language and also about the Portuguese culture. I will also be adding some materials soon, so this might interest you as well! Thank you very much again and lots of success to you as well! I just found this old post from last year and I have to keep a promise here… 😉 I have worked on the content in the past months and in the meantime you can find a lot of articles and material to study the Portuguese language. I am currently working on the A1-Course for beginners and the first lectures are already online. Thanks for sharing these dictionaries online since I understand you perfectly when you say google translator is not the best option due to it’s not always accurate. My native language is Spanish but I also speak English but not perfect so I sometimes use the translator for a quick consultation, and I can see certain errors in the translation but because I speak both. So this is why I think it is important to have a good dictionary if we want to have an accurate translation. Yes, as I said I think Google Translator is good to get you started or for a quick translation, especially if (like you), you have knowledge in both languages you are translating, which will mean that if the translation is completely off, you will kind of know it. I am glad that you found my suggestions helpful! Please do come back to my website if you feel like it. More comments will be greatly appreciated! Thank you for the suggestions on the translators. I am a native English speaker, but also speak Spanish, and I believe that these would work well for me when I get stuck looking for a word in Spanish, as well. Very nice description of each translator and how each is different. Thank you, again! Thank you for your comment. You are right, I think these would also work for Spanish, especially the linguee.pt. Anyways, whether you do it or not, I really appreciate your comment and your time and I want to thank you again. Please do keep coming back if you feel like it! I have not heard of any of these but they each sound very useful for translating languages. I used to use an app called DuoLingo where you could learn multiple different languages by being quizzed on. I would definitely consider trying out these other sources especially if I decided I wanted to learn Portuguese.I think learning either version of it would be great for anyone that is planning on traveling to that area. My question is, which of these sources would you recommend over the others? Also, are there any additional tips you would give to others while trying to learn Portuguese? The dictionary I use the most is linguee.pt, so I guess I would recommend that one over others. However, as I said they are all good. They also work for different purposes. About tips for people who are trying to learn Portuguese. I would say that they should try as much as they can to practice the language with natives. Using either classes online or offline, both will work. It is also good to have good materials. You mentioned you used Duolingo. This tool is good, but a bit limited for those wanting to learn European Portuguese, since Duolingo is focused on Brazilian Portuguese. However, if you are looking for knowing some vocabulary, you can start off with this app, since many of the words overlap in European Portuguese and Brazilian Portuguese. Do not listen to the pronunciation, though, since this is completely different in both variants of the language. I hope I helped and I want to thank you one more time for taking the time to comment. I’ve always been curious about other languages, such as French, Italian, Spanish and more. Portuguese is such a complicated language for me but it’s invaluable to become bilingual in this current age. I’ve been to Portugal once with the family and I’d love to go again and be able to speak a bit of the language and keep a conversation with someone. I’ll keep coming back for more so I can pick little bits up here and there. I’d love to see a proper language guide though, lessons and tutorials for beginners. Please do keep coming back, as I will be adding more posts and materials. I am just still in the process of making my website more complete. I thank you once again and I wish you lots of success in your endeavours. I’m really happy I came across your website, Mia. I’m a Brazilian living in the US and sometimes it’s hard to find the correct word. Other times I just need to check if I had the correct spelling. So, reading your post I got to know that there’s a downloadable version for Linguee (which I had already used online)! That’s awesome! I’m downloading it right now and I’m sure translating English to Portuguese – and vice-versa – will be much easier from now on. Do you know if there are any tools that revise and correct European Portuguese while writing online? Something like what Grammarly does in English. This may be helpful for your students. That´s really great that I could help you with your English translation issues. Linguee is really great and I think that the downloadable version is a really great thing! Let me know how it works for you! 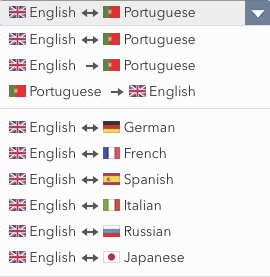 I would also like to tell you that you gave me a good idea to find something like Grammarly for European Portuguese, since I actually am not absolutely sure if there such a thing. I will look into it, for sure. We are always learning, right? Thank you very much and I wish you lots of success! Please do come back to my website as I will be adding more things! I’m soo envious of you! You are such a talented lady to be able to speak and teach those languages! I have a learning difficulty, so I found some things extremely hard. Things that require a lot of concentration. Like learning languages. Fortunately, my children don’t have it and both speak another language fluently! One Spanish and one German! Please don’t be envious of me, I am sure you have many other talents I don’t know about =) Languages can be hard if people have a learning difficulty, but sometimes it is also the fault of the teachers/environment or other. Maybe you could give it another try? I will be putting more materials in my website, so if you want to try and learn some more things just for fun, feel free to visit! Thank you for the link to Linguee as our dictionary doesn’t cover everything this seems a very valuable learning tool.